Vasant Panchami, sometimes referred to as Basant Panchami or Shree Panchami, is a Hindu festival celebrating Saraswati, the goddess of knowledge, music and art. It is celebrated every year of the Indian month Magh (January-February), the first day of spring. Traditionally during this festival children are taught to write their first words; brahmins are fed; ancestor worship (Pitr-tarpan) is performed; the god of love Kamadeva is worshipped; and most educational institutions organise special prayer for Saraswati. The color yellow also plays an important role in this festival, in that people usually wear yellow garments, Saraswati is worshipped dressed in yellow, and yellow sweets are consumed within the families. Children love flying kites. They enjoy the festival with great fun and enthusiasm. Source: Wikipedia. I wish you and all your family members a very happy Basant Panchami/ Saraswati Pooja. May Goddess Sawaswati shower her blessing upon us all! I am soo excited for this festival as over here it marks the beginning of the Spring celebrations which lasts for about 40 days and ends with Holi. On Basant Panchami day (which is actually tomorrow for us) the planting of the Holika, a castor oil plant, is done at most mandirs and the festivities begin. We celebrate by singing special songs called 'Chowtaals' at peoples homes, fasting is done etc. etc. The festival culminates when on the night before Holi, the same castor oil tree which was planted on the first night is made the center of a pyre and burnt (thus representing Holika Dahan) and Holi is celebrated. (I hope I explained it clearly to you all) It's a very auspicious time for everyone! How do you all celebrate Basant Panchami? 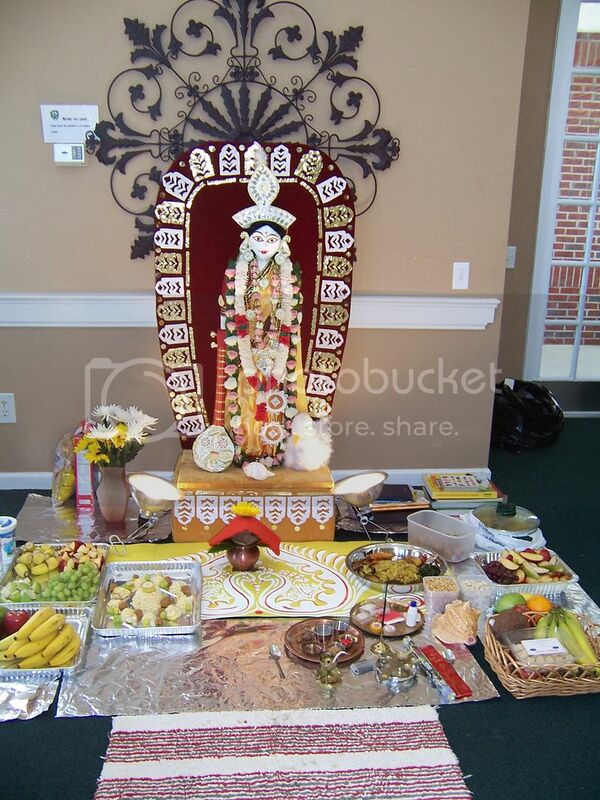 I attend a local puja @ my apartment complex. A few years ago, did the ceremony of my then 3 year baby doing a ceremonial first writing on a toy writing whiteboard the numbers & letters - just 3 of them. He's 9 now. As a kid, attended it regularly in the home of my cousins. Have lost touch w/ them - don't do it anymore. Prediction: the next gen will be typing the letters A, B, C on laptop keyboards. May the blessings of Goddess Saraswati be upon all of you!